Baritone Ryan Thorn will join Portland Opera’s resident artist program in 2016, performing Taddeo in L’italiana in Algeri, 2nd Priest / Papageno (cover) in The Magic Flute, and Jonas Fogg / Bird Keeper in Sweeney Todd. He attended the Music Academy of the West in 2015, singing the baritone solo in Beethoven’s Ninth Symphony. In November, he will sing the title role in Donizetti’s Viva la mamma with Pacific Opera Project. Thorn’s roles include the title characters in Don Giovanni, Le nozze di Figaro, and Sweeney Todd as well as Marcello (La Bohème), Angelotti/Scarpia cover (Tosca), the Musiklehrer (Ariadne auf Naxos), and Giove (La Calisto) with Pacific Opera Project, Morales and El Dancaïre (Carmen) with Madison Opera, and the baritone solo in Carmina Burana with the Pasadena Master Chorale. Barnaby Hughes of the blog Stage and Cinema wrote of Thorn’s performance of Giove in La Calisto, “His versatile voice is almost equally at home in the falsetto he adopts for his Diana disguise as for the commanding baritone he wields so effortlessly...Thorn is the musical and dramatic anchor of the production.” In the Chamber Opera Players of Los Angeles’s production of Alec Wilder’s A Sunday Excursion, “Thorn’s comedic abilities and booming voice brought to life the less-than-two-minute monologue he has each time he arrives, hawking apples (later, candy, and later still, magazines) to all the passengers. 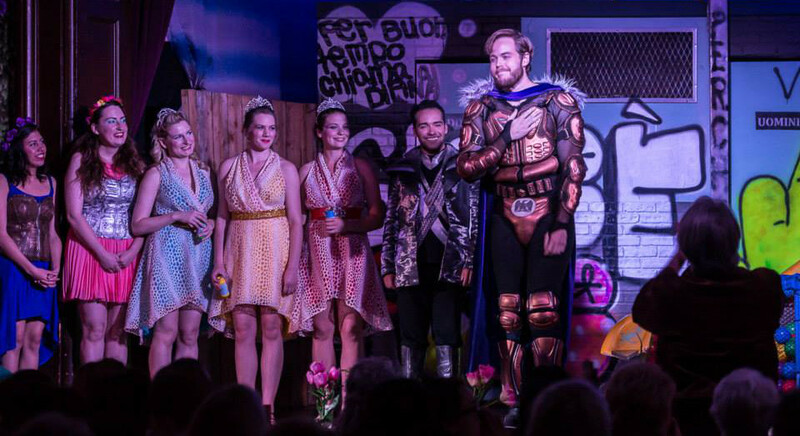 Thorn is so jovial and home-grown in his delivery, that one really wishes we could interrupt the opera and buy an apple from him" (Yilin Hsu Wentlandt of the blog Singerpreneur). Thorn has frequently collaborated with both student and professional composers. He created the role of Clement Greenberg in Maura Bosch’s Art and Desire, and he has performed the baritone solo in Robert Cohen’s Alzheimer’s Stories with the Angeles Chorale. He is also creating the role of Arthur Dimmesdale in Mark Carlson and Bruce Olstad’s forthcoming opera, The Scarlet Letter. He holds a Master’s degree from UCLA, where he studied with baritone Vladimir Chernov and worked closely with director Peter Kazaras. His Bachelor’s degree is from the University of Wisconsin - Madison.